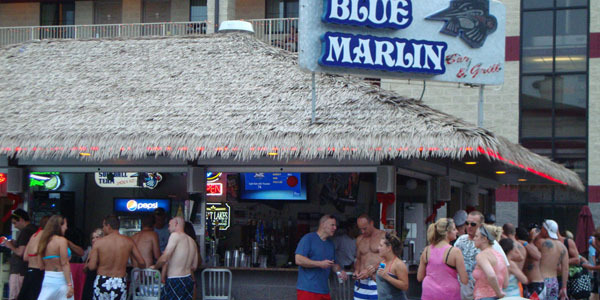 The Put-in-Bay Resort is home to The Blue Marlin Tiki Bar. A tropical themed bar, there is a large pool with a 40 person jacuzzi. You can swim right up to the bar and try one of our signature frozen tropical cocktails or have your favorite concoctions from our fully stocked bar. Also, there is ample lounge chairs to catch a few rays while at Put-in-Bay. Listen to DJ Billy the Kid and make the most of your time on the Lake Erie Islands. The Blue Marlin Tiki Bar at The Put-in-Bay Resort is the place for both islanders and guests to kick their shoes off and relax.